mimicking a German proverbial expression, means "go seek your luck abroad" and has been our slogan right from the start. The internet, easier travelling, all kinds of media and economic interaction have shrunk our world since then, bringing China much closer. And “seeking luck abroad” is not so popular and even suspicious in times of globalization, world financial crisis and mass unemployment. Space between the West and Asia has been compressed, pulled together by millions of wires and human relationships, the world is marked by interdependence and interaction, rather than by contrast, ignorance and xenophobia. This is a huge civilization progress made in a short time, and the gravity-like process of globalization presents new challenges to a China business consultant. Responsible action in view of global ecological, social and economic impact wins priority over mere achieving. We boast a clear conscience and the fact that our activity in 20 years has on balance created and not reduced employment. 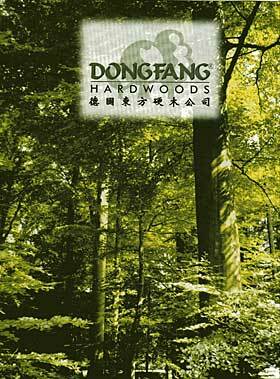 The first exclusively China-committed consultancy firm in Europe: Two Decades of Dongfang: Things Changed, Things Preserved. Early assignments in official privatization consulting (German Treuhandanstalt), marketing consulting (Daimler-Benz, Audi, MSE), and as a sourcing agency (poultry meat, various foodstuffs and machinery for industrial food processing) as well as license agency (publications industry, chemical/technical products) took care of Dongfangs early growth and enabled us to gain valuable experience in various fields of business. 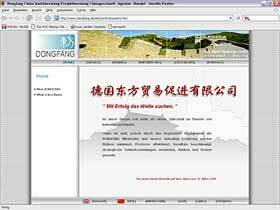 From 1992 Liaison Office in Beijing, branches in Munich and Dresden. 1995 Retirement of shareholders Ewald Hundrup and Dr. Walter Beck from operative business, but continuing as free-lance consultants. Concentration of office locations in Germany, ultimately maintaining only head office in Ostbevern. Hundreds of minor assignments by MSE (Medium Sized Enterprises), some long-term strategy projects, especially in foodstuffs trade and oem manufacturing of consumer goods, but also including assignments connected to government delegation visits, European and Chinese industrial associations, etc. 1996 through 1998 temporary engagement as an importer of frozen foodstuffs and cross-trader between China and USA, Caribbean and South Africa ( for two years leading supplier of Chinese frozen poultry meat to RSA). 1998 extension of our head office facilities in rural Muensterland in Northrhine Westphalia. Since 2000 more assignments for MSE in strategic consulting, co-operation and product sourcing, but also for multinational companies. 2002 closer affiliation with Karthaus GmbH in Lemgo, and with a group of long-term freelance co-operators in China, for the purpose of improving services for a group of companies in the European furniture industry. The same year brings a new key-account with a multinational cosmetics, medical and appliance customer. Until present day continuous work for long-standing customer accounts. Several Foreign Enterprise Incorporations on behalf of European and US clients, in China and Vietnam. Increased activity as a staff agency, two successful license transfers in periodical publishing, consultancy in environmental and consumer-protective soil treatment, plant production, services for art galleries, art traders and individual artists, etc. Maybe we are a little more aware of history and heritage than others. We do feel especially obliged to the good tradition of excellent political, cultural and economic relations between China and Germany. We know the standards history has set for us to meet, the achievements between China and Germany that need to be protected, developed further and utilized. There is a heritage of high mutual esteem and many-leveled friendships that are growing into mutual depending, trust and understanding. That is the historical continuity we work in.